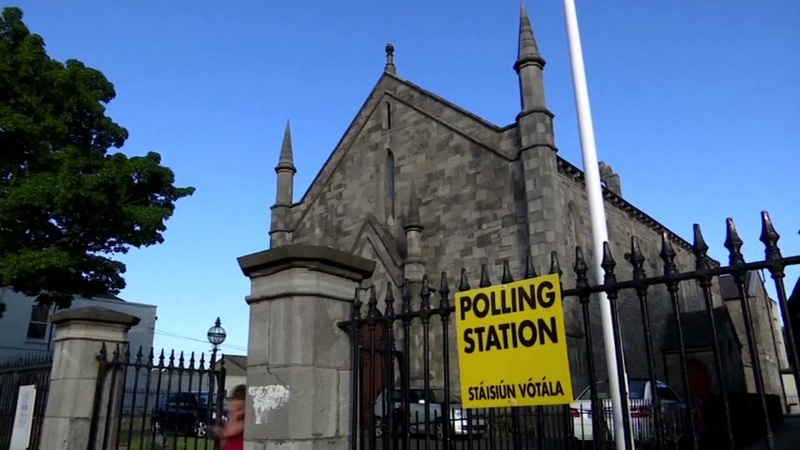 IRELAND -- Final results from a referendum show that Irish voters have overwhelmingly supported repealing their country's constitutional ban on abortions and having parliament enact laws that reflect the popular vote. Elections officials said Saturday more than 1.4 million voters favored repealing the ban while roughly 724,000 wanted to keep it in place. More than 66 percent of voters wanted an end to the ban. Irish Prime Minister Leo Varadkar said the vote paves the way for legalized abortions and is a historic day for his country and a great act of democracy. "I said in recent days that this was a once in a generation vote. Today I believe we have voted for the next generation," Varadkar said. "The wrenching pain of decades of mistreatment of Irish women cannot be un-lived. However, today we have ensured that it does not have to be lived again." The outcome was a historic victory for women's rights in a traditionally Catholic country. The size of the win exceeded expectations and will make it much easier for Irish women to obtain abortions legally for the first time. For more stories from across the the United States and the world, visit this page.